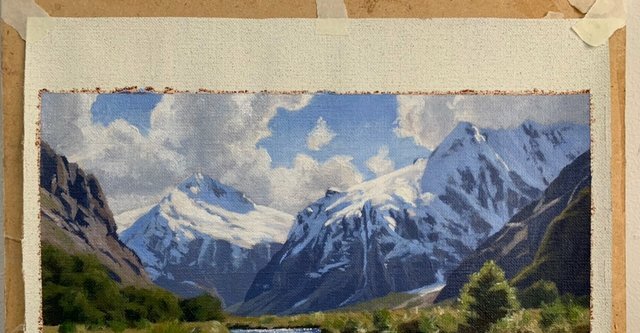 I have completed this colour study of one of my favourite mountains to paint in New Zealand, Mt Talbot. 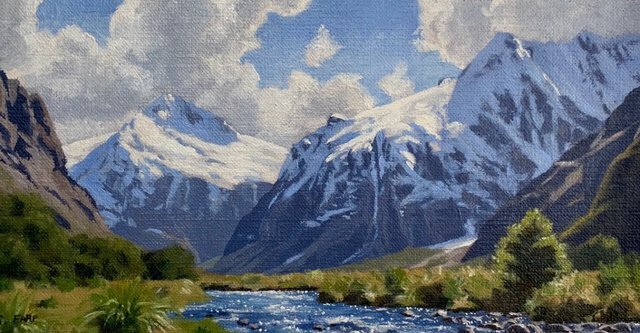 This mountain range is located in Fiordland and it forms a naturally good composition. I will use this colour study for a larger studio painting. Amazing place, Amazing landscape, Amazing painting!! !